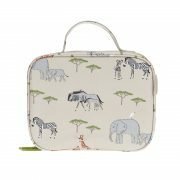 This quality Sophie Allport children’s lunch bag is made from practical matt oilcloth and is fully insulated to help keep food fresh and cool for longer. 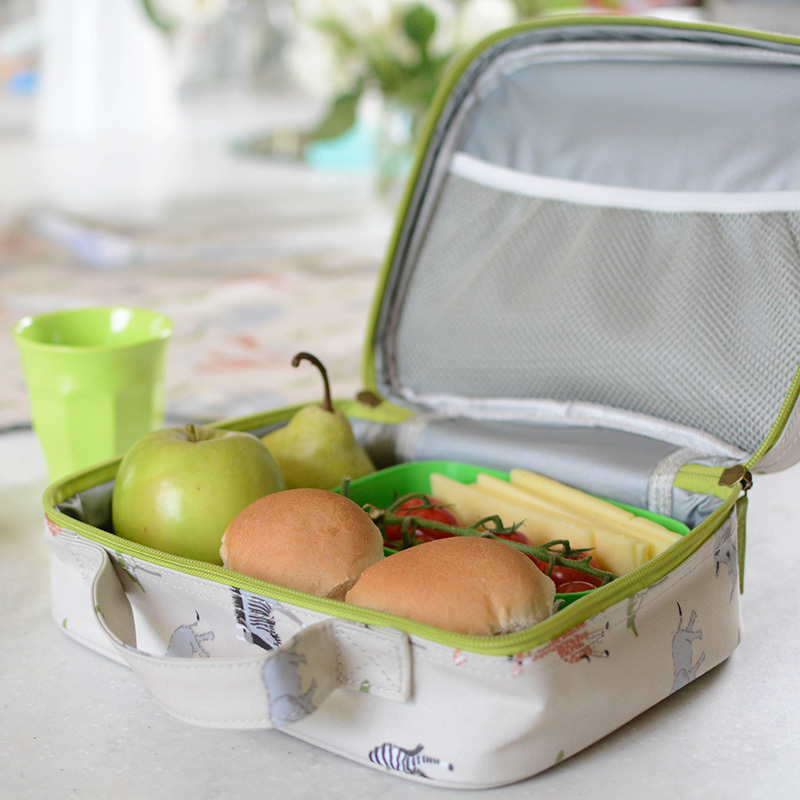 It also has a food safe lining which is easy to wipe clean.ﾠThe lunch bag has a zip closure that goes all the way around allowing the lid to fully open to access the contents plus there’s a handy internal netted pocket for special snacks and treats!ﾠ The lunch bag is small and easy to fold away but large enough to fit a healthy lunch and water bottle inside. 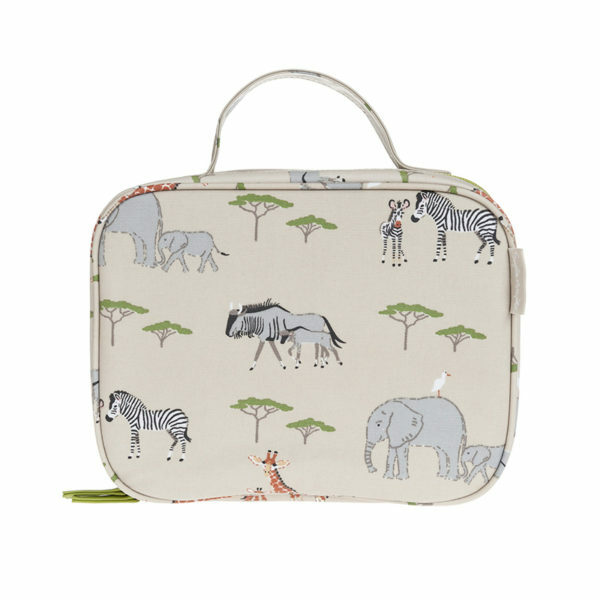 Covered in elephants, giraffes, wildebeest, warthogs, zebras and rhinos this children’s lunch bag will make any packed lunch extra special! 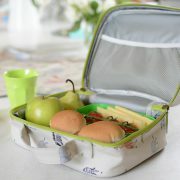 Tags: bags, Children, Home, kids, lunch bag, safari, sophie allport.